Girls Who Code founder and chief executive Reshma Saujani started the organization in 2012. After training 90,000 American girls to write software since 2012, non-profit Girls Who Code announced its expansion into Canada on Wednesday, calling on schools and community agencies to join its mission of achieving gender parity in technology. The organization, whose offerings include free after-school computer-science clubs for girls between the ages of 13 and 18, is getting financial support from Morgan Stanley to bring its curriculum to Canada, its first step outside of the United States. It aims to start 100 of the clubs in its first year. “Anyone who’s associated with a non-profit can apply, or a school, a librarian. We have homeless shelters that participate,” said founder and chief executive Reshma Saujani, who started the organization in 2012. The first community partner in Canada that Girls Who Code will work with is the Federation of Ontario Public Libraries, which plans to launch at least 10 clubs across the province. Girls Who Code Club of PS 354 gather after school for reading and coding in Jamaica, New York City, on May 17, 2018. 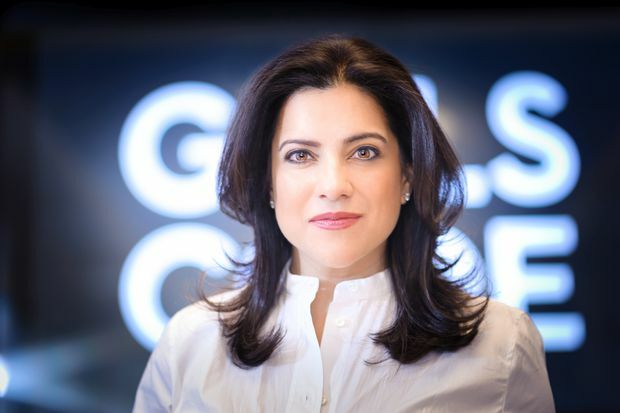 With so much opportunity, and so many high-paying jobs in the tech sector, Ms. Saujani says her organization’s goal is to provide pathways for more girls and women to access those careers. Ms. Saujani said research shows that if girls are comfortable with coding before they choose their post-secondary major, they’re much more likely to study something technology-related. The next hurdle is at college, where 15 per cent of women with a STEM major drop out, Ms. Saujani said, noting Girls Who Code recently started a college-level support program to help address the problem. The challenges for women continue into the workplace, where some struggle to fit into male-dominated office cultures and others have a hard time being hired, she noted. Ms. Saujani with participants at the IAC building in New York on July 25, 2018. “According to a 2017 report from McKinsey Global Institute, women make up 47 per cent of the overall workforce in Canada, but only 23 per cent of the STEM workforce,” stated a Girls Who Code news release issued on Wednesday. After assessing the Girls Who Code program and its impact, McKinsey believes the United States can reach gender parity in tech by 2027, a figure based on the organization’s growth rate and a projected number of tech jobs. Girls Who Code says it hopes to “follow a similar path” in Canada. Anna Hu, co-founder of tech startup Brizi Inc., says she learned to code as a teenager through a Java programming course at her high school. She went on to study math and computer science at University of Waterloo and Wilfrid Laurier University, where she estimates her program had about nine males for every female. Ms. Hu attributes her comfort with computing as a key factor in starting her own company. “It led me on a different journey than it would have if I didn’t have that technical knowledge." Girls Who Code Club of PS 354 learn to code after school hours in Jamaica, New York City on May 17, 2018. Lally Rementilla has worked as an investor and an operator in the tech industry over nearly three decades, currently as president of Toronto-based commercial lender Quantius. She says she’s “seen a vast improvement in opportunities for women to advance in the industry … because of the shortage of talent. ”While the smart companies look to attract women, many women struggle with a culture that is "always on … which is extremely unforgiving for those who have family obligations or other responsibilities,” she said.